Coming in late March, Nintendo is going to give gamers in Japan a reason to finally pick up a Wii U for themselves with Dragon Quest X. 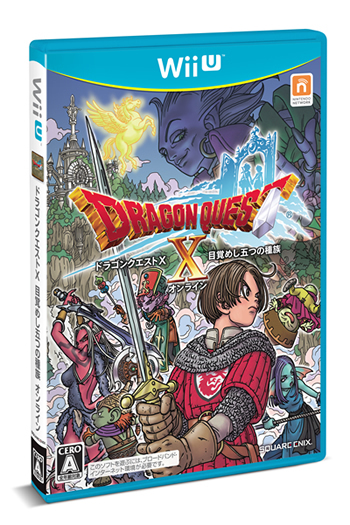 A Dragon Quest X Wii U Premium Set will be available at launch for 42,000 yen. This includes a Wii U Premium Set, Pro Controller, a copy of Dragon Quest X, a $10 pre-paid card, and an item code. Fans will be given the opportunity to download Dragon Quest X Wii U at a cheaper price if they already purchased the game on Wii. Square Enix will be offering a 50% discount for these consumers. Hopefully this will set a better trend for the Wii U and Nintendo can keep the flow of games coming on the still new system in it's home land. I'll bet money that there will be a nice spike in sales data for the Wii U in March/April.